You'll be £19.99 closer to your next £10.00 credit when you purchase A Nation Wholly Free. What's this? 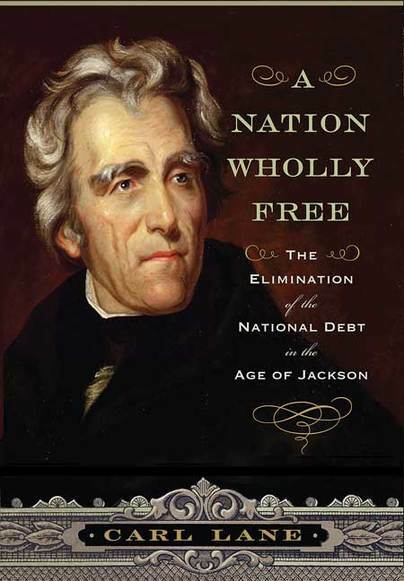 shows that the great and disparate issues that confronted Jackson, such as internal improvements, the “war” against the Second Bank of the United States, and the crisis surrounding South Carolina's refusal to pay federal tariffs, become unified when debt freedom is understood as a core element of Jacksonian Democracy. The era of debt freedom lasted only two years and ten months. to Americans. The partisan debate over national debt and expenditures led to poorly thought out legislation, forcing the government to resume borrowing. As a result, after Jackson left office in 1837, the country fell into a major depression. Today we confront a debt that exceeds $17 trillion. Indeed, we have been borrowing ever since that brief time we freed ourselves from an oversized debt. A thoughtful, engaging account with strong relevancy to today, A Nation Wholly Free is the fascinating story of an achievement that now seems fanciful.